The Ocean seems so vast – is that why it has been treated like a dump for generations? The ocean provides us with everything we need: food, oxygen, inspiration and jobs. It also regulates the climate. In spite of our survival depending on the Ocean, a whole garbage truck’s worth of plastic ends up in the ocean every minute, and we are way overdue in doing something about the problem. The good news is that this is a problem that can be solved. Innovators who network, like Cyrill Gutsch of Parley for the Oceans, show us the power of many of us connecting and innovating. That’s the premise behind sharing the Blue Life Journal with as many people as possible. 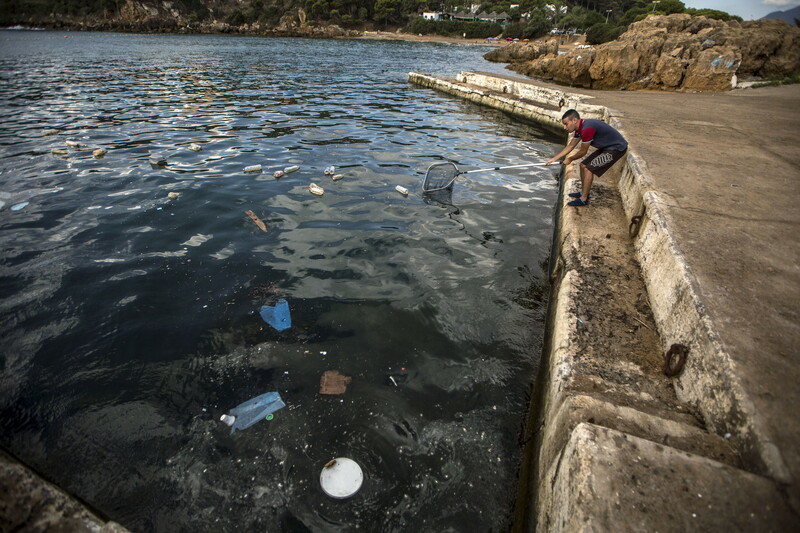 Plastic pollution in the ocean was documented by researchers as far back as 1970. For everyone else, 2017 was probably the year when their eyes were seriously opened. Images of the plastic problem on beaches in all corners of the world are just the tip of the “disaster iceberg.” What we cannot see far out in the ocean, the plastic gyres, where currents swirl plastic into massive islands of waste, and the microplastics continue to expand. Groups like 5Gyres.org are providing hope and research in that area. The problem seems beyond manageable, but our awareness of solution-opportunities is a huge step in the right direction no matter where we live or work. The following is from an article by Nina Jensen, Chief Executive Officer, X Four-10 / REV, – published March 2, 2018. We are inspired by her insight and expertise. There is still much we do not know about the plastic problem. Researchers estimate that more than 70 percent of the plastic ends up on the sea floor. Over time, it breaks down into tiny particles, but we do not know what happens to this material or how to get rid of it. The efforts to map and monitor, as well as conduct research on the negative effects, must be strengthened. An important initiative in this direction is REV, the world’s largest research and expedition vessel, which aims to solve the biggest challenges around the ocean, including a dedicated effort on plastic.